From checking your battery to investigating that clunking noise, our diagnostic services are usually free. Oil changes, suspension work, exhaust repairs, and much more. From routine maintenance to engine replacement, we do it all! We also perform diagnostics and repairs on motorcycles, ATVs, UTVs, and even watercraft. 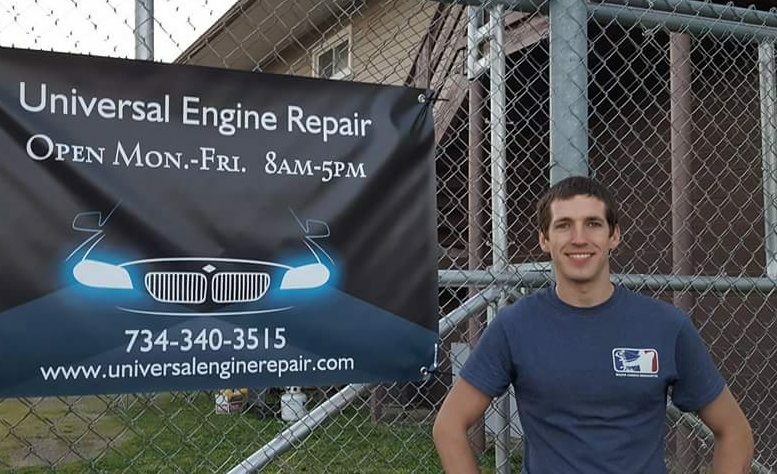 Located in Ypsilanti, Michigan, Universal Engine Repair offers a wide range of vehicle repair services at an affordable price. Our shop performs routine maintenance like oil changes, brakes, suspension work, and vehicle tune-ups. We are also equipped to perform major vehicle repairs such as engine and transmission servicing and replacement. Universal Engine Repair gladly welcomes all cars and trucks, imports and domestics, new and old, gas and diesel. We accept scheduled appointments or walk-ins. The most honest and efficient mechanic I’ve ever had the pleasure of doing business with. Zac performs repairs quickly and can explain everything that he’s doing and why in great detail. He’s polite, personable, and true to his word. I won’t take my car anywhere else. Fast, cheap, and effective. I’ve used this place multiple times and it has gotten to the point that I just refer to Universal Engine Repair as “The Car Wizard”. There’s no better value for your money, and if it can’t be fixed here, it can’t be fixed anywhere.